Throughout the duration of our customers’ contracts, there will always be a need for one off call-out works, planned improvement works, or the addition of specialist ‘bolt-on’ service lines to an existing contract. Whilst we have a wealth of qualified personnel who can deliver such bespoke services in-house, we are proud to complement our clients’ needs with a network of highly skilled and trained sub-contractors across the UK. Our supply chain partners provide John O’Conner with preferential rates, and we pass on these savings to our customers. 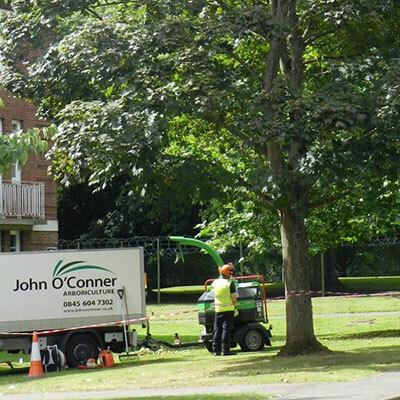 By appointing John O’Conner, we can deliver a wide range of facilities management services to complement our grounds and winter maintenance services. This allows our customers to reduce their own supply chain, benefit from discounted rates, and reduce administration costs. All our suppliers are stringently vetted and our QHSE team constantly audit our suppliers to ensure they are adhering to our rigorous health and safety criteria. When approving a supply chain partner, we set very high standards, ensuring they exceed our customers’ health and safety expectations and demands. We only use quality companies who understand our business, and, more importantly, your business needs. For more information, contact a member of our team today.